Bass guitar legend Stu Hamm is live in concert at Tralf Music Hall on Tuesday March 27th. Guitar ace Jamie Holka opens the show with his band at 8pm. This very special up-close-and-personal show has a very nice $12 advance ticket price. Hamm is a world class, utterly entertaining story-teller, legendary bass guitar icon, known also for playing and recording with some of the greatest guitarists of the recent decades: Steve Vai, Joe Satriani, Greg Howe, Alex Skolnick, Richie Kotzen, Mike Keneally, Allan Holdsworth, Frank Gambale, Michael Schenker, Richie Kotzen. and many others. 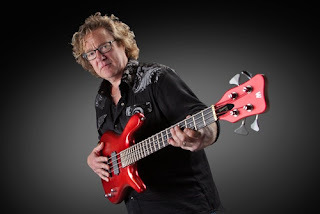 Stu has been a monumental influence in jazz/rock style for many bass players worldwide. Tickets are $12 in advance or $15 day of the show. They're on sale at Ticketmaster.com, Tralf.com, and the Tralf Box Office at 716.852.2860.